In August, an icon of American hotels is opening up near the top icon in Indian attractions. The 104-room DoubleTree by Hilton Agra, will open less than a mile from the Taj Mahal, and will be one of a very few hotels with a view of the world’s most beautiful mausoleum. Located in central Agra, the hotel will also be near such attractions and shopping hubs as Agra Fort, Akbar’s Tomb and Kinari Bazaar. As in all DoubleTree by Hiltons, the guests will be greeted with a chocolate chip cookie at check-in, an array of upscale amenities and guest services and the globally-recognized CARE culture, which stands for “Create A Rewarding Experience” and represents the brand’s commitment to guests, team members and the local community. The 104-room hotel will have four dining outlets, an outdoor pool with views of the Taj Mahal, 24-hour fitness center, a spa and salon. 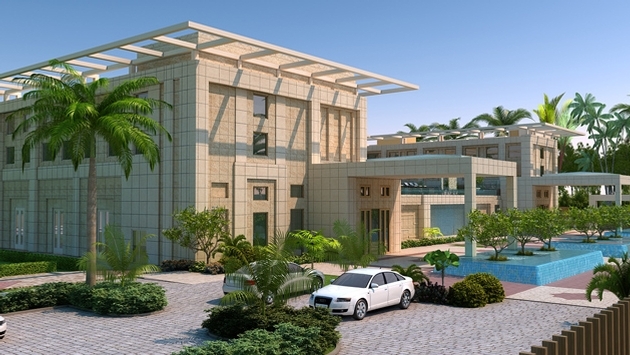 “India is a key strategic growth market for Hilton Worldwide. We are delighted with the opportunity to partner with Archer Hospitality Private Limited for our foray into Agra, the leading tourist destination in the country, renowned for its many magnificent Mughal-era buildings, most notably the Taj Mahal, Agra Fort and Fatehpur Sikri,” said Martin Rinck, president, Asia Pacific, Hilton Worldwide. Currently in India, Hilton operates the New Delhi: Hilton Garden Inn New Delhi/Saket; the Hilton Garden Inn Gurgaon Baani Square and DoubleTree by Hilton Gurgaon-New Delhi NCR; the Hilton Mumbai International Airport; the DoubleTree Suites by Hilton Bangalore; the Hilton Chennai; the Hilton Garden Inn Trivandrum; the Hampton by Hilton Vadodara-Alkapuri; the DoubleTree by Hilton Pune-Chinchwad; the DoubleTree by Hilton Goa-Arpora-Baga and Shillim: and the Hilton Shillim Estate Retreat & Spa. QT Hotels & Resorts will add to its inventory of five-star Australian hotels with a new property in Canberra, the political capital. In April, the QT Canberra will open in New Acton in the former Lakeside Hotel. 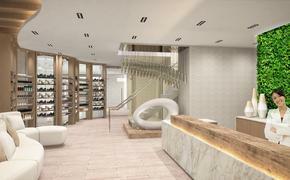 The 205-suite Canberra opens with a new exterior and interior by designer Nic Graham. The building that new hotel will open in has seen a lot of Australian political history, including the rise and fall of several Prime Ministers as well as speeches and back-room meetings. The QT Canberra will pay homage to its building’s political history by highlighting a number of secret bar rooms, private hideaways and secluded spaces for guests to escape the fray with a signature cocktail and tapas from the bar menu. The QT Canberra restaurant will offer a menu of bistro classics and contemporary dishes with an Italian flair, paired with a choice selection of Australian and international wines. The QT Hotels and Resorts’ portfolio includes the flagship QT Sydney, QT Gold Coast and Port Douglas resorts, along with the ski resort QT Falls Creek and some other hotels flagged to open in the next two years. 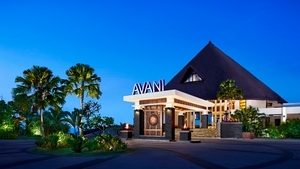 The 392-room AVANI Sepang GoldCoast Resort has opened under a new flag along one of the world’s most legendary bodies of water, the Straits of Melaka. It’s the fifth hotel to be launched by Thailand-based Minor Hotel Group. The resort is located near Sepang International Circuit – home to the Malaysian Formula 1 Grand Prix – and 45 minutes drive from Kuala Lumpur International Airport. The resort has just completed the second phase of a 15 million Ringgit renovation. The resort was previously the Golden Palm Tree Iconic Resort & Spa. The resort features five restaurants, two bars, a spa, an extensive selection of activities and a ballroom. “This resort will be joined later on this year by several further rebranded AVANI properties, with the first new-build AVANIs to follow next year,” said Dillip Rajakarier, CEO of Minor Hotel Group, AVANI’s parent company. The Sepang GoldCoast stretches for a dozen miles along the Straits shore. As part of Minor Hotel Group’s global expansion of diverse quality brands, AVANI Hotels & Resorts was launched in late 2011 as an upscale hotel concept, to consolidate the group’s presence in city and resort locations across Asia, the Indian Ocean, the Middle East and Africa.